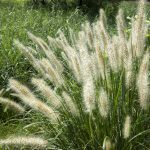 Trees are not the only plants that can be used to shade hot, sunny areas in the summer. 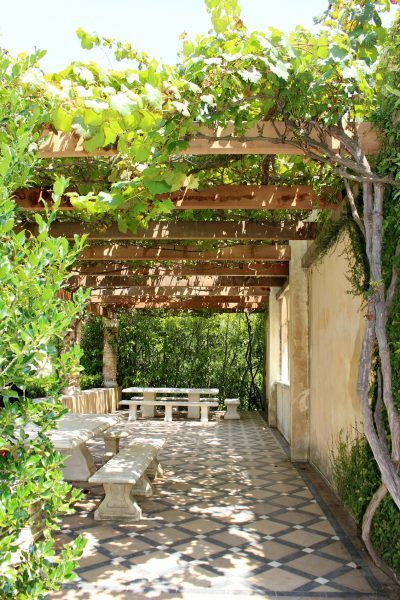 Structures like pergolas, arbors and green tunnels have been used for centuries to hold up vines that create shade. Vines trained up trellises and as espaliers create living walls that shade and cool from the hot summer sun. Read more to learn about using vine plants as shade cover. 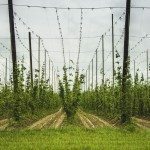 When using vines for shade, it’s important to first decide what kind of structure you will be using for the vine to grow upon. Vines, like climbing hydrangea and wisteria, can become woody and heavy, and will need the strong support of a pergola or arbor. Annual and perennial vines, such as morning glory, black eyed susan vine and clematis, can be grown up smaller weaker supports like bamboo or willow whip green tunnels. It is also important to know a vine’s growing habit to match the correct vine with the support it needs. Vines grow up things usually either by twining around a structure or attaching to the structure by aerial roots. Vines with aerial roots can easily climb up bricks, masonry and wood. Twining vines usually need to be trained on trellises or as espaliers to grow up solid walls. The terms pergola and arbor are often used interchangeably, though they are different things. Originally, the term arbor was used to define an archway created by living trees, but in modern days we call that a green tunnel. 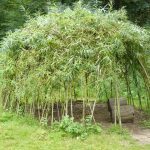 Green tunnels is a term used to describe a walkway shaded by living trees trained in an arching habit, or tunnels made from willow whips or bamboo that vines are grown upon. An arbor is usually used to describe a small structure built for vines to climb over an entry way. Pergolas are structures built to shade walkways or sitting areas and are built with strong vertical posts, usually made of wood, bricks or concrete pillars; these vertical beams support an open, airy roof created from crossbeams spaced evenly apart. Sometimes, pergolas are built to extend out from a house or building to shade a patio or deck. Pergolas are also used over walkways between buildings or terraces. Read more articles about Ornamental Vines General Care.